Your keys can do it all ~ how adorable is this tiny lighter? Along with some tiny screwdrivers, mini crow bar, and tweezers. 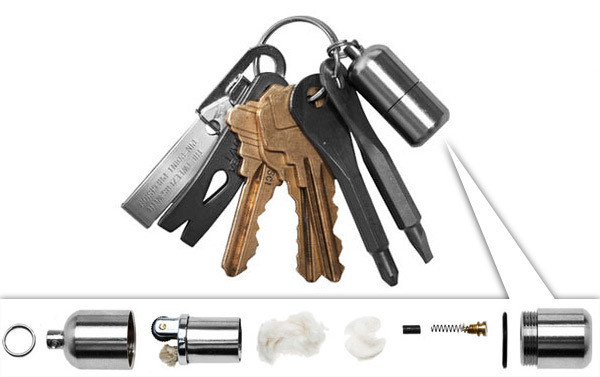 Sure you could replace some of those with an equally tiny and functional tiny multi-tool/key… but not the lighter! 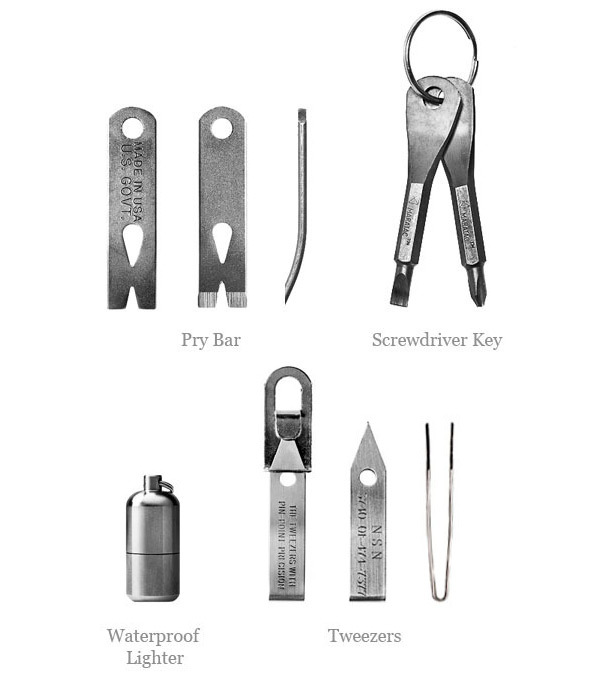 See more details of the Kauffman Mercantile EDC Kit on the next page!